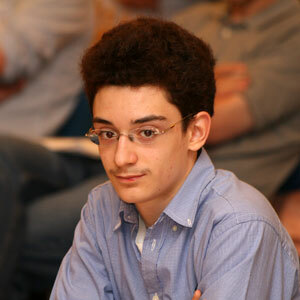 He has just won the Italian Championship for the second year in a row and he is ready to compete in Pamplona (Spain), from 22nd to 29th December; as it happened in Martina Franca and it will be for the upcoming Wijk Aan Zee "B" tourney, his sponsor for this event will be Italian chess magazine "Torre and Cavallo - Scacco! ", edited by Messaggerie Scacchistiche. No, not at all. I am not satisfied with my performance. I was very happy to be in Italy, naturally, but I didn't play a good tournament. As it happened in Dresden, you didn't gain full point with White against a lower rated opponent. In Dresden you got a draw with Kobese, while in Martina Franca you even lost to Valsecchi. 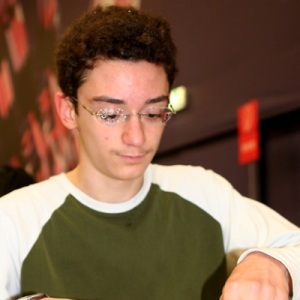 Do you suffer loss of concentration when you face a theoretically weaker opponent? Or is there another explanation? I would rather not answer to this question because I don't know either. "It is a very personal question", adds his mother, "and he is still trying to figure out his way of playing". When I am in front of a chessboard, it doesn't matter who I play with. I always try to do my best. Before Martina Franca you played in Dresden and Cap D'adge, now you are awaited in Pamplona and then in Wijk Aan Zee. Don't you think that so many close engagements can affect your performances? Aren't you tired? I can't answer this question: you should ask that to my opponents! Speaking about goals... Have you already set a deadline for you to become a top 10 player? And for the world title? We have noticed that in Dresden, while you were playing, there was always a bottle of Fanta near you. Fanta's tagline is: “Play naturally”. Do you picture yourself advertising this famous soft drink in tv, as Korchnoi did with a Swiss milk a few years ago? I love Fanta, but I have never thought about advertising it! That sounds good... What do you think about it? If you can do something and help me find a sponsor, I will be happy to collaborate!